Important Notice: I am currently on maternity leave from doula services! I am accepting clients due Summer 2017 and later. I will not be taking any first time mothers in 2017. If you are looking for a doula and are due before next summer, or are a first time mom, contact me at fiona@ihypnobirth.com for recommendations. Thanks! I have completed my requirements for doula certification through Childbirth International and have earned the title of Certified Labor Doula. I am now accepting clients but I have limited availability. I can only take one client per month, so please book well in advance. I require a $100 non-refundable deposit to hold your spot on my calendar. I believe that birth is normal, natural, and healthy for healthy mothers and their healthy babies. It is NOT a medical event, and the laboring mother should not be treated as if she were ill or incompetent. I want couples to feel empowered and in control while they are working together with their support team during birth. I am an advocate for the couple during one of the most vulnerable times of their lives. I can offer a great deal of knowledge and encouragement, help make suggestions for a smoother birth, and be a sounding board for the couple as they make decisions throughout the birth process. In addition, I am trained in many different comfort techniques to help mom (and dad!) be more comfortable during labor. At the very least, I can be the person who runs errands for food, drinks, blankets, heating pads, cool washcloths, or anything else you may need! My husband and I were planning a natural birth for our first child. We had been practicing hypnobirthing techniques for months, but because we had never experienced labor and delivery before, we weren’t sure what to expect and we wanted as much support as we could get. We hired Fiona Judd as our doula. Fiona had been our Hypnobirthing instructor and both my husband and I were impressed with her calming, but assertive personality. We already knew she was wonderful at listening to our concerns and desires and using those to give us the best experience possible. On the day of our daughter’s birth, Fiona arrived at the hospital shortly after us. She helped us set up the room just the way we wanted it. I labored in the hospital for 8 hours, and Fiona was there, on her feet right by my side, the entire time. She acted as a sounding board as my husband and I made decisions about what we should do at each phase of labor. She helped me change positions and try different relaxation strategies. When one thing didn’t work- she helped us find something new! Fiona had a very calming presence. She was strong when I needed someone to be strong and when I needed to concentrate on my own, there were times I didn’t even know she was there. She gave us confidence and reassurance to both my husband and me when we needed it most. 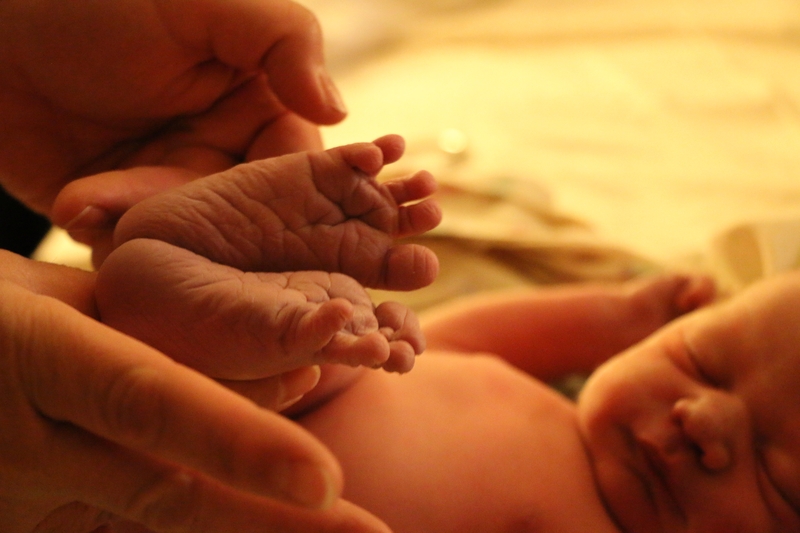 She helped us understand what was happening medically, and at the most crucial point in my delivery, when the midwife suggested an episiotomy, Fiona made an alternative suggestion that made a world of difference in the delivery. Everyone in the delivery room: our families, the midwife and nurses, were all very impressed with Fiona. I would hire her again in a heartbeat! My husband and I are so grateful to Fiona because she helped me realize my dream of having a natural vaginal birth. I don’t think I could have gone thru 26 hours of labor without Fiona’s knowledge and support. I sat on my birthing ball at home and Fiona and my husband took turns putting a hot rice pack on my lower back with gentle pressure. This saved me from the back labor that for me could be very sharp and intense. I was able to focus on really relaxing and letting my body do the rest. Fiona gave me gentle reminders to relax my face and words of encouragement. My husband really loved having Fiona there because it freed him up to tend to essential tasks that came up and know that I was taken care of. They cooperated really well together and she was always sensitive about when to step away and let him fulfill his role as my main support person. … Fiona took some pictures and helped facilitate skin-to-skin and breastfeeding right away like we had talked about. It was wonderful to have that time to bond with my baby. … I was so overjoyed to have a better birth experience and really be able to concentrate on welcoming our sweet baby into the world with love. I recommend getting lots of support and picking a system that will work for you. I loved the HypnoBirthing method and having Fiona as my doula and would do it again in a heartbeat! !